Eicher Motors Limited reported its Q3 results registering a Profit after tax rise 88 per cent at Rs. 120.3 crore as against Rs. 64 crore last year, while total income stood at Rs. 1,451.3 crores, a 32.1 per cent growth over the corresponding period last year. For 9 months ending September 2011, total income from operations were reported at Rs. 4,139.4 crores, while PAT stood at Rs. 358.9 crores. The Operating Profit (EBIDTA) for the 9 month period, 2011 grew by 68.7 per cent at Rs. 439.7 crores, over the 9 month period, 2010. VECV’s Eicher Trucks and Buses Division (ETB) reported sales figures of 35,833 units for the year till September 2011 as compared to 28,169 units in the corresponding period last year. The company has continued to maintain its market share in the 5 to 12 T segment at 30 per cent plus in the current year. In the bus segment too, the company reported 5391 units being sold for the nine months till September 2011, a growth of 28.4 per cent over the corresponding period last year. Market share for the same period has also gone up to 10.2 per cent from 7.3 per cent. In the Heavy Duty segment, Eicher registered a growth of 70.7 per cent at 5172 units over 3030 units in the same 9 month period last year. Correspondingly, its market share also moved up from 1.9 per cent in 2010 to 2.9 per cent in 2011 for the 9 months. Commenting on VECV’s performance, Siddhartha Lal said, “Like the last quarter, ETB continues to outpace the industry with the unit volume growth of 27.2 per cent as compared to the industry growth of 10.3 per cent for YTD September 2011." He also said that Royal Enfield has launched two new variants of Classic 500 bike in the month of September this quarter. 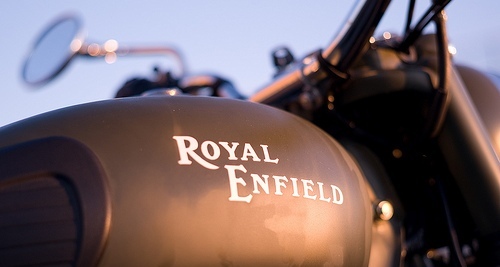 "Both Classic Chrome and Desert Storm are differentiated products that ride high on style and substance to fit very well in the leisure bike category that Royal Enfield has been pioneering for all these years”, he added. "We continue to work towards improving volumes through focus on expanding distribution and production capabilities, improving price realisation, cost management and aftermarket sales," he added.